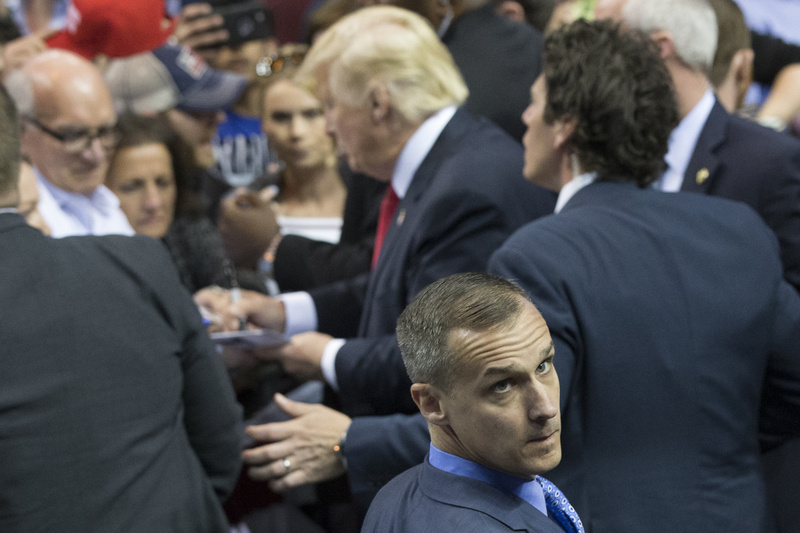 Corey Lewandowski, Donald Trump's first campaign manager, at a campaign stop in Buffalo, N.Y., in April. He says he is starting a political consulting firm and pitching his ties to Trump. Corey Lewandowski, Donald Trump’s first campaign manager, at a campaign stop in Buffalo, N.Y., in April. He says he is starting a political consulting firm and pitching his ties to Trump.